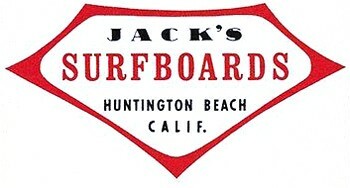 First to be inducted into the "Honor Roll" for the Surfing Walk of Fame, Jack is recognized for setting a standard for surf shops coast to coast. When Jack took his son surfing at the Huntington Pier, he was alarmed that the kids were literally blue when they got out of the water. 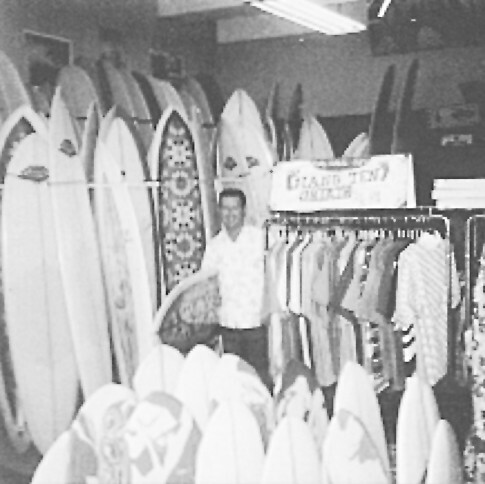 He saw a need for a full-service surf shop selling wetsuits and surf clothing (primarily baggies back then! ), as well as surfboards and skateboards. 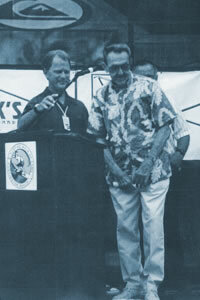 The shop opened in 1957 and was such a success that a second location was established in his home town of Anaheim. JACK'S was also a major manufacturer of belly boards. Upon selling the shop in 1974, he manufactured skateboards.